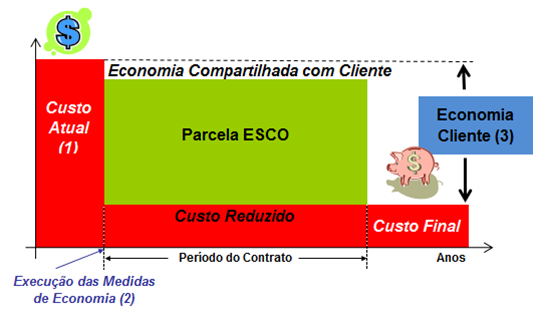 The Performance Contracts (CP), signed between the client and the ESCO, establish the conditions for deployments development and remuneration with technical actions and economic viability, through sharing (for a specified time) the savings amount achieved by the effective reduction the energy consumption and water costs in customer operation. 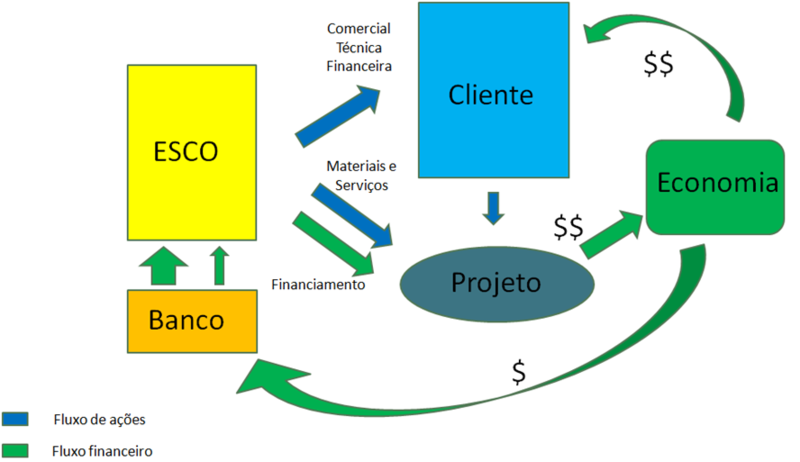 The basis of a CP is that both technical and financial responsabilities of the project is from ESCO. The scope of action of each part is set between ESCO and the customer , but is also responsibility from ESCO to contribute capital in the project and the return of this capital will occur over a predefined time.